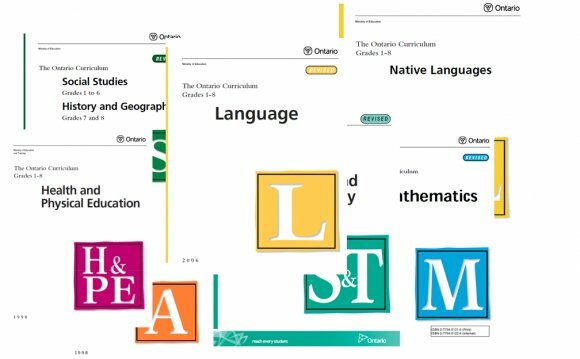 In Ontario, the Secretary of state for Education is responsible to add mass to curriculum policy documents. In 2003, the Ministry established a continuing cycle of curriculum review. Review isn't a growth and development of a totally new curriculum, but is supposed to be sure that the curriculum remains current and relevant and it is developmentally appropriate from Kindergarten to Grade 12 in most subjects. Numerous subject disciplines have joined review process every year. Review supports students, instructors, schools and boards by determining specific areas looking for support and enables lead here we are at development or upgrading of related support materials as needed. The Curriculum Review process is really a research-based and evidence-informed procedure that starts with 3rd party research and benchmarking from the Ontario curriculum against curricula from across Canada and round the world. Groups of experts within the subject discipline from over the province evaluate the present curriculum from the preferred condition for that modified curriculum. Information collected from experts, focus groups, consultation services, research and benchmarking is synthesized and directions for revision writing are recognized. A draft, reflecting modified anticipation and good examples according to analysis and synthesis which reflects current direction within the discipline, is developed. Periods are held to collect input via a number of possibilities, including in person and web enabled periods. Experts within the subject discipline evaluate the manuscript to make sure academic precision. Final reviews for prejudice, equity and inclusive education, First Nations, Métis and Inuit perspectives, environment education, and financial literacy occur to make sure that the manuscript is inclusive and reflects the direction from the Secretary of state for Education. Editing from the suggested draft revisions is completed by professional editors. When needed, small specific revision writing teams refine the suggested draft and focused consultation on final revisions can also be held. Once launched, board teams and stakeholders are asked to implementation learning periods concerning the modified curriculum. Assets are designed to support board training and implementation specific towards the modified curriculum. These periods ensure common understanding and consistent messages about curriculum revisions and anticipation for implementation.